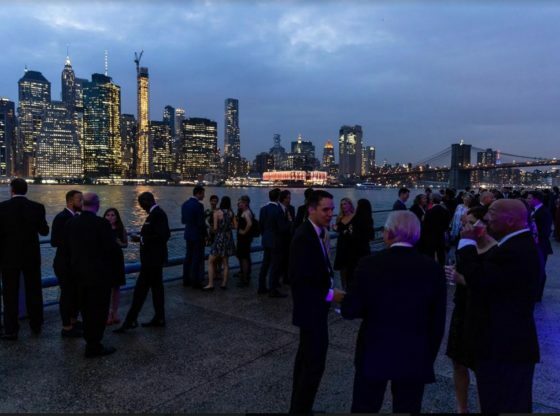 The Brooklyn Bridge Park Conservancy hosted its sixth annual Brooklyn Black Tie Ball on Pier 2. By the end of the night, $1.27 million was raised. Proceeds from the ball directly support the conservancy’s 500+ free (or low-cost) activities. Nancy Bowe, who served as the conservancy’s board chairwoman for five years, was honored for her almost two decade involvement in the park. “To me it was always about building a park for all of Brooklyn where everyone would feel welcome,” Bowe said. “I am so proud of what we have grown into. Paul Frangipane of the Brooklyn Daily Eagle wrote: “the park conservancy provides programming for park visitors and gathers volunteer support for the park it has worked to bring to life for over 30 years, according to a statement. Nancy Webster, executive director of the conservancy said, “whatever we do, we all come to Brooklyn Bridge Park to breathe a little easier, to play and to get a little lost in our extraordinary waterfront park. “I want to leave you with three words: joy, wonder and exploration.